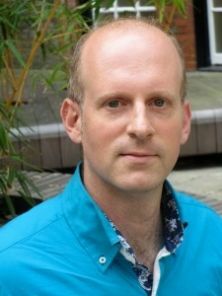 David Collins is Professor of International Economic Law at City University London where he has taught since 2005. He has been an academic visitor at a number of institutions including Georgetown, Columbia and Hong Kong. He has acted as a consultant for organizations such as the World Bank and the Commonwealth Secretariat and his research has attracted funding from the British Academy and the Society of Legal Scholars. Prior to joining City, David practiced commercial litigation in Toronto, Canada and was a prosecutor for the Attorney General of Ontario. He holds law degrees from Toronto, Oxford and Maastricht and is a qualified lawyer in England, Ontario and New York. The World Trade Organization (WTO) celebrated its 20th anniversary this January amid continued challenges to its relevance and its seemingly ever-increasing influence on our lives. Now composed of 161 member states and covering 98 per cent of global trade, the WTO’s mission is to reduce barriers to trade in goods and services and to make the rules governing international trade more transparent and predictable. Freer trade is supposed to mean higher standards of living and more full employment for all – but it is unclear whether the WTO has helped achieve these goals. While the WTO’s dispute settlement system has unquestionably become one of the most influential world courts, as a forum for the negotiation of further trade liberalization, the WTO’s record is far from perfect. What will the WTO’s role in the global economy be in the next 20 years?